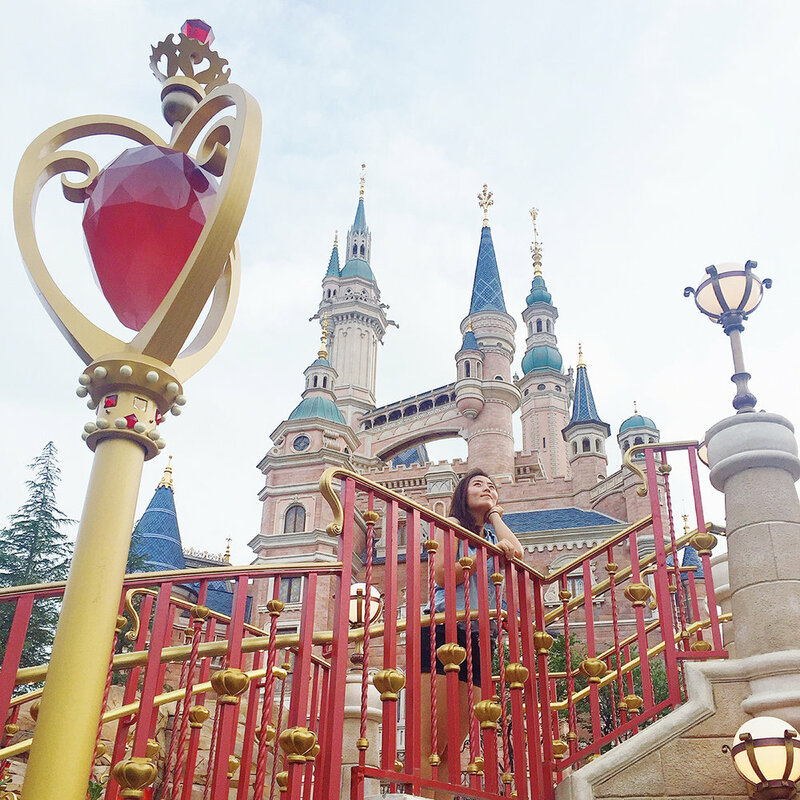 After Taiwan, we went to China. 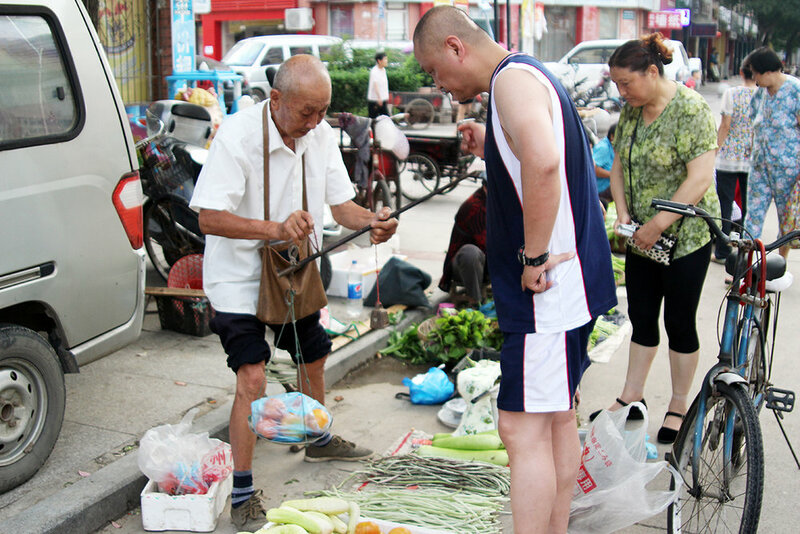 Our first stop in China was Xiaogan, Hubei, home to my maternal grandparents, and the town I grew up in. Since moving to the U.S. at six years old, I've come back to visit twice. It's always amazing to see the neighborhood I used to live in — the street I used to play on, the field on which I learned how to bike, my favorite toy store, and my kindergarten/elementary school. It's also amazing to see how the city has developed in the past decade. The new apartment complexes, the large shopping malls, and the influx of cars and motorbikes on the roads (and lack of driving regulations) have taken over the majority of the city. 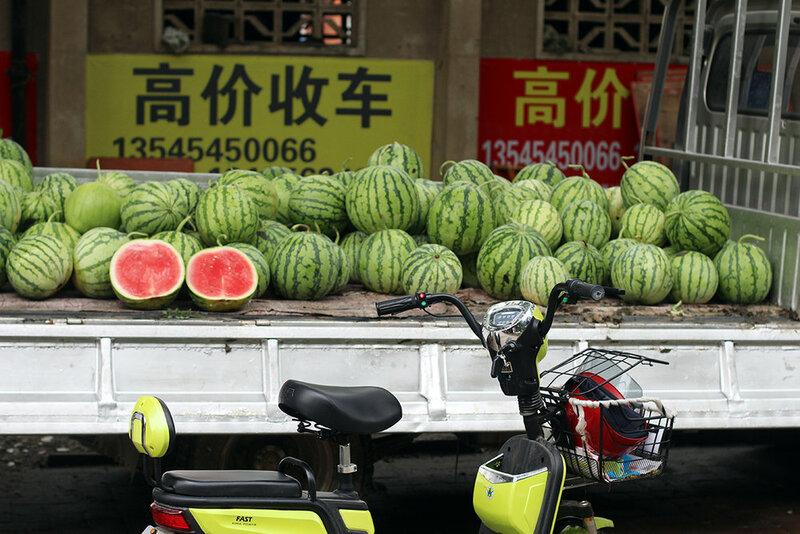 But my favorite parts of the city still remain, and can still be found in the early morning farmers markets, where fresh steamed buns can be found in little street carts, and fruits are sold and weighed on antique balance scales. Even though there isn't to explore and sightsee in Xiaogan, it was nice to be back in my family's hometown eating delicious wheat flour foods and meeting my twin baby nephews! 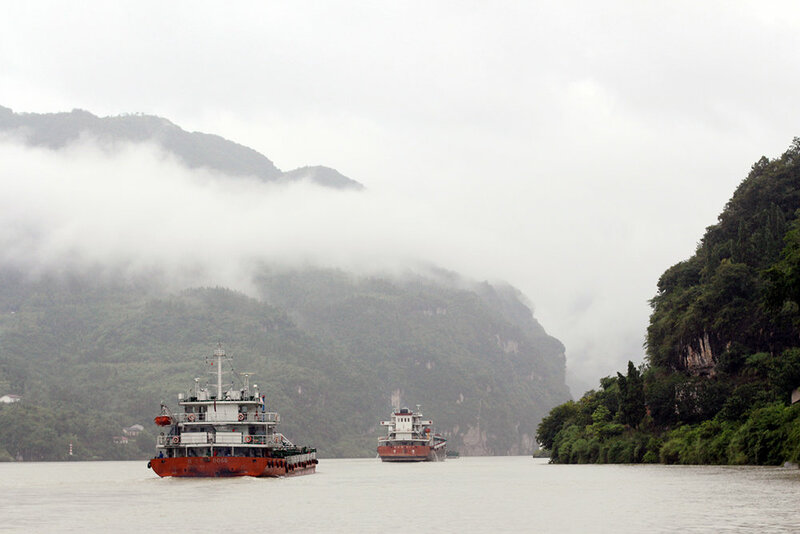 The next leg of our journey was Yichang, Hubei, where my dad's side of the family lives. 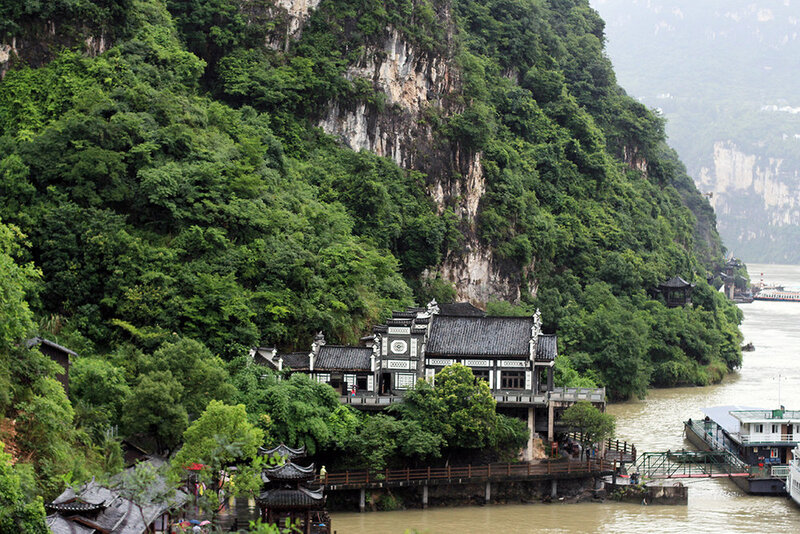 Yichang is known for the scenic Three Gorges region on the Yangtze River. We'd taken a cruise to see the Three Gorges last time we visited, so instead went on a day tour to 三峡人家 (translates roughly to the homes of the Three Gorges villagepeople). The tour was in Chinese (so I didn't know what was going on half the time), and at points all you could see of any site we stopped at was a sea of umbrellas, so my sister and I decided to wander off away from the crowd and take pictures in the beautiful scenery. It was a pretty rainy, but sometimes being a tourist is a pretty good way to spend the day. 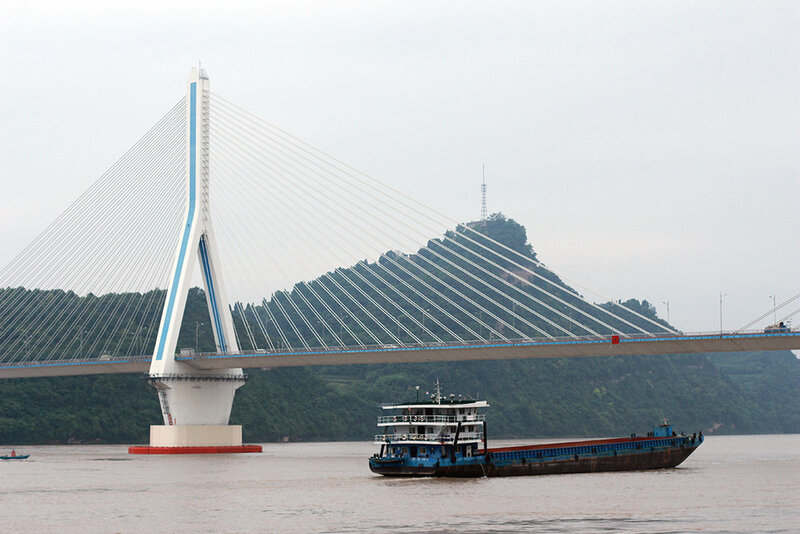 We spent the next day shopping in downtown Yichang and strolling by the river bank with my grandma and our five-year-old cousin, and took a surrey bike across the Yiling Bridge. And onto the bigger (and more touristy) cities of our China trip. 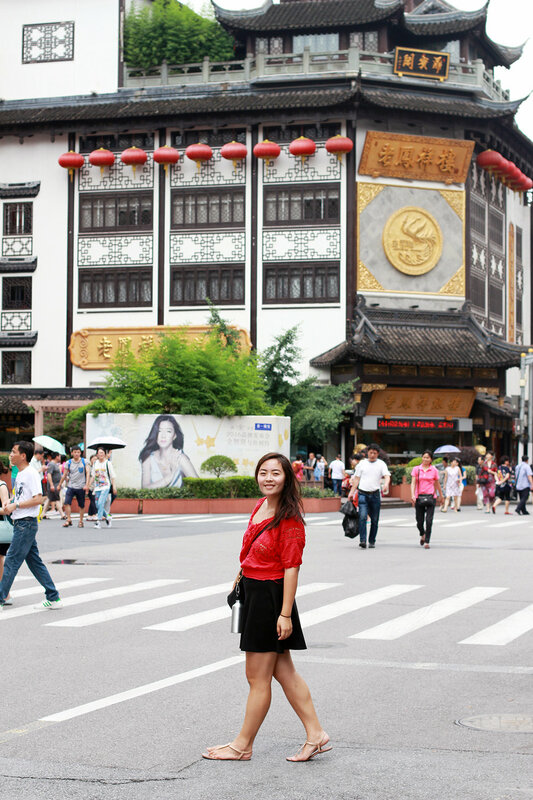 Marco Polo called Hangzhou the most beautiful and magnificent city in the world. 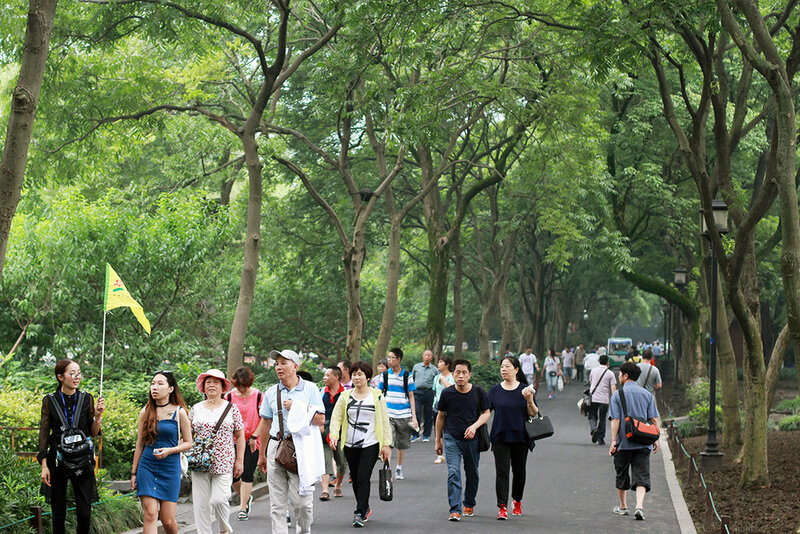 Hangzhou is comparable to Venice, due to its natural scenery. My parents came here on their honeymoon. 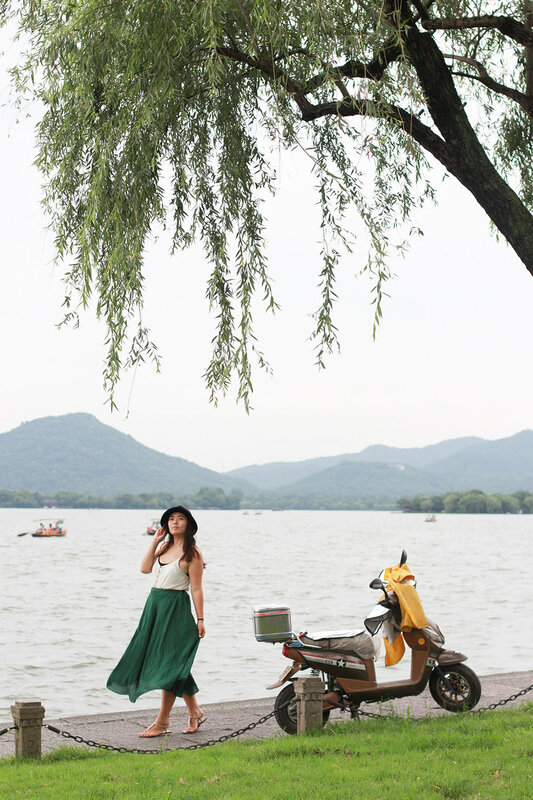 The most popular attraction in Hangzhou, West Lake (西湖), is a fairytale dream come to life. We started at Leifeng Pagoda (雷峰塔), and walked around the southern border of lake, stopping at every nook and cranny to take in the charming scenery. It was every beautiful scene in every historical Chinese period drama come to life in front of our very eyes. 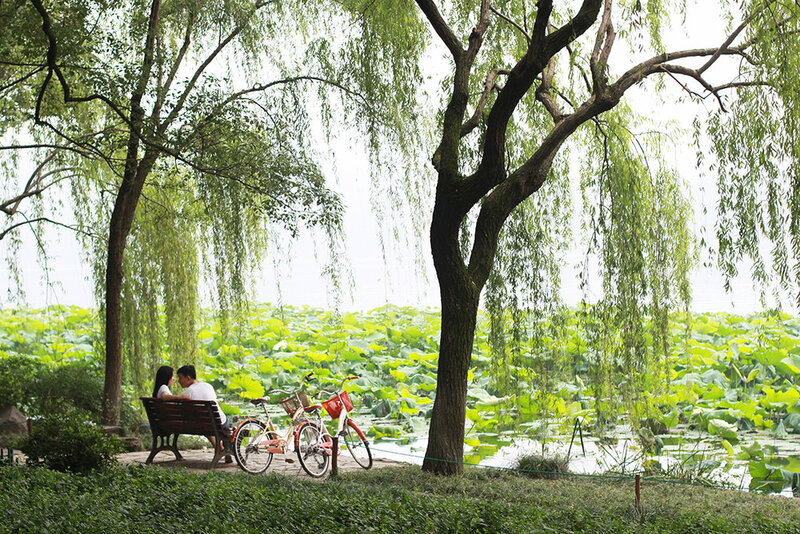 The imperial gardens were filled with weeping willow trees, the perfect complement to the romantic waterscape. Every bridge, pagoda, gate, tree, pavilion, and bench was so enchantingly beautiful. After walking almost ten miles up the west side of the lake, my sister and I met up with our parents on the Su Causeway (苏堤), and took a short gondola ride to see the stone pagodas at Three Pools Mirroring the Moon Island. The following day we took a taxi up to Fei Lai Peak (飞来峰), a limestone mountain full of grottoes and Buddha statue carvings, and Lingyin Temple (灵隐寺), translated as Temple of the Soul's Retreat. We hiked (through the rainstorms) by a river and up to a series of temples up on the peak. Because we stayed near water, mosquitoes had no mercy. After a quick lunch at KFC (couldn't resist seeing trying out Chinese KFC..it was weird), we went back to the northern side of West Lake to see the lilypads and the Broken Bridge (断桥), which got its name from ancient romantic folklore. It was such a beautiful, pleasant place to hang out and end our day of exploration, before finding a night market at HeFang Historic Street (河坊街) to stuff our faces. The next two days we visited the classic Shanghai places: The Bund (外滩), Oriental Pearl Tower (东方明珠), Nanjing Road (南京路), Yu Garden (豫园), Jinmao Tower (金茂大厦), City God Temple (城隍庙). We took the metro around the city, and tried our best to avoid crowds (no such luck). The line for the Pearl Tower not only consumed the plaza, but the surrounding streets and intersections. Instead we went up to the Jinmao Tower Observatory, which was slightly disappointing because with rain came fog. (Still bitter we didn't go into the new Gensler Shanghai Tower, which has the world's highest observation deck. 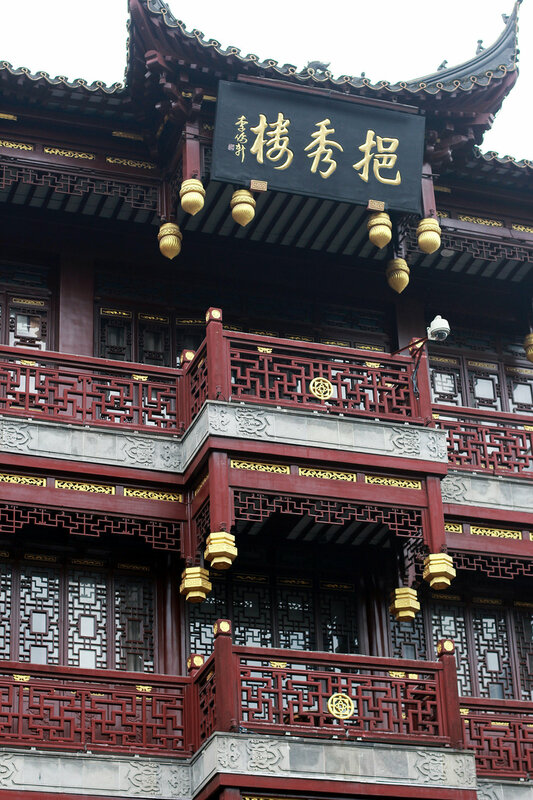 I enjoyed Yu Garden, an ancient garden built in the Ming dynasty 500 years ago, and the historical area surrounding City God Temple. 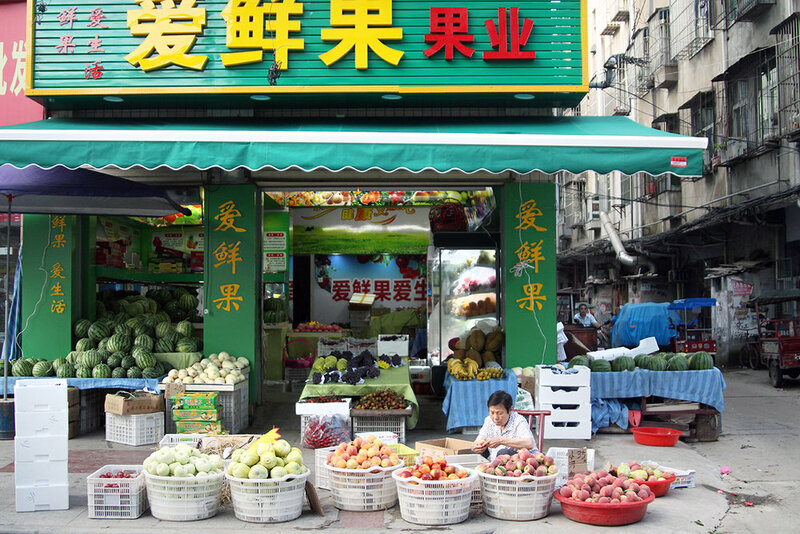 The next day, we stopped by Nanjing Road was where the shopping (and people) were. The hustle and bustle of area was reminiscent of Times Square, so we dodged that and went to the Bund, the famous waterside walkway with that classic view of the Shanghai skyline. We climbed onto planters to get photos or ourselves without the crowd all up in our faces. That was fun, and so was watching all the wedding photographers take bridal portraits of couples in extravagant suits and gowns. What a sight. 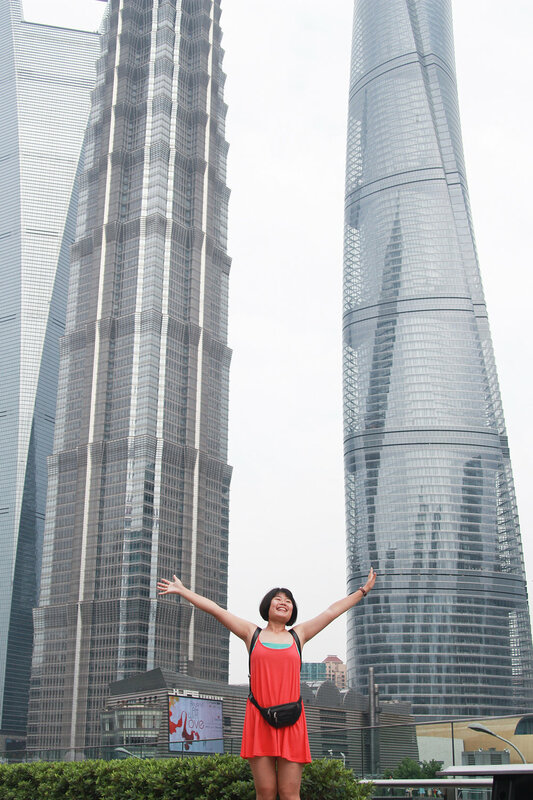 Shanghai was a really cool city to visit, but I definitely want to avoid tourist season and come back another time. — It's relatively easy and inexpensive to get around with taxis. Taxi drivers aren't always the most patient. Make sure you know the exact address you're going to. Because they don't carry GPS's for some reason. — Airbnb's are available in the larger cities. We didn't meet either of our hosts in Hangzhou or Shanghai, but they were very easy to contact when we needed something. — Don't let pushy tour guides or drivers trick you into going along with them. For example, two tour guides stopped us at Jinmao Tower in Shanghai, and stalled us as they tried to gather a larger group of people to sell us discounted group tickets. We suspected they weren't going to find enough people to join, and thankfully left to go up to the observatory on our own before wasting more time with them. — Google Maps (and Google in general) doesn't exist in China. Get around that with Baidu Maps and VPN apps to access firewall-blocked sites. — Bug spray is nice. Especially in the summer. Except not always 100% effective. — The high-speed rail is an effective way to get from city to city in China. I remember when I was little, we'd have to take long overnight trains just to get to another city. Easily motion sick toddler me was not a fan. — Many drivers don't follow driving rules. A lot of people don't follow common courtesy when it comes to being in public and around others. Don't take it too personally, and do your best to make sure the bratty children aren't collectively cutting you in line at Disneyland. — Go out and buy street food for breakfast! 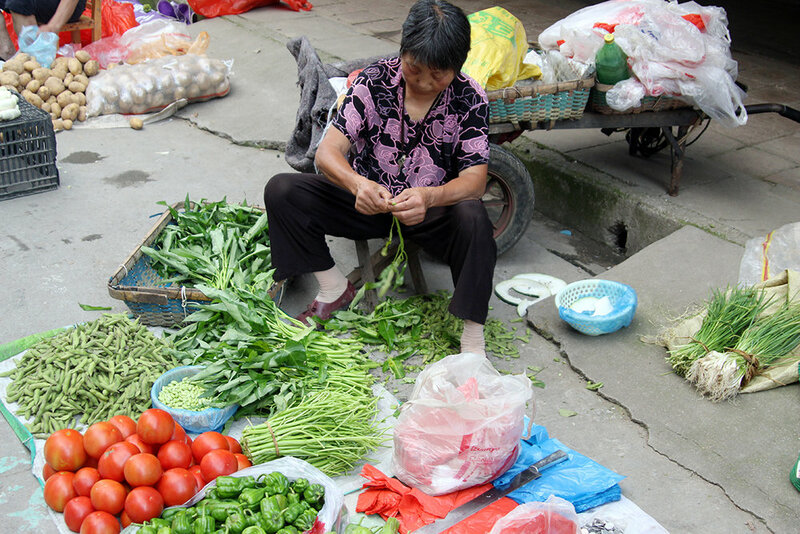 The fresh steamed buns, fried breadsticks, and dumplings are sold on streetcarts everywhere in the mornings. If you don't know what's good, look for the crowd.